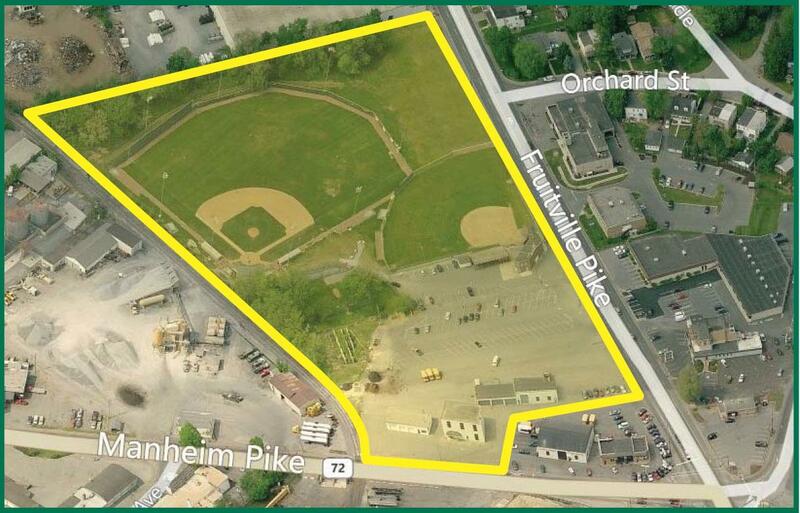 Stumpf Field site comprised of 11.37+/- acres in prime Manheim Township location with frontage on Manheim Pike and Fruitville Pike. Also includes four (4) existing buildings that could be renovated as part of a redevelopment project. Zoned Industrial (I-2) with the Urban Transition (T-6) overlay which permits many uses such as apartments, professional and medical/dental offices, banks, restaurants, retail businesses, convenience stores, hotels, vehicle sales/service businesses, and more.